The Second Squad reports the arrest of a Bayville man on Sunday, April 06, 2014 at 2:15 p.m. for a Robbery that occurred in Bayville. 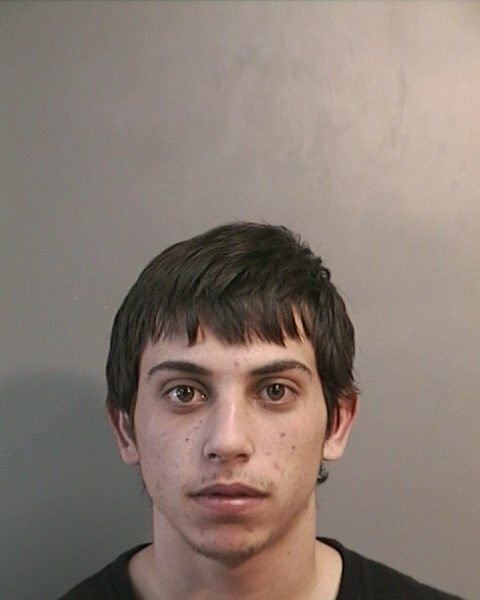 Bayville, NY - April 7th, 2014 - The Second Squad reports the arrest of a Bayville man on Sunday, April 06, 2014 at 2:15 p.m. for a Robbery that occurred in Bayville. According to detectives, on Sunday, April 6, 2014 at approximately 7:00 a.m. the male victim taxi driver, 66 employed by Long Beach Taxi Company drove the defendant Kyle J. Johnston, 20 of 12 Greenwhich Street from Long Beach to Greenwhich Street. Upon their arrival Johnston refused to pay the fare and an argument ensued. The victim exited the vehicle where upon the defendant threw him to the ground and began to punch and kick the victim in the face. Johnston removed the victim’s money bag containing and unknown amount of U.S. currency and fled on foot. A joint investigation was conducted by Second Squad detectives, the Long Beach Police Department and Bureau of Specials Operations officers which led to the arrest of Johnston who was located on Sunday, April 06, 2014 at 2:15 p.m. on Deans Lane. He was placed under arrest without incident. The victim transported himself to a local hospital for treatment of his injuries. Johnston is charged with Robbery 2nd degree and Theft of Services. He will be arraigned on Monday, April 7, 2014 at First District Court in Hempstead. Subject: LongIsland.com - Your Name sent you Article details of "NCPD: Bayville Man Arrested for Robbing Cab Driver"